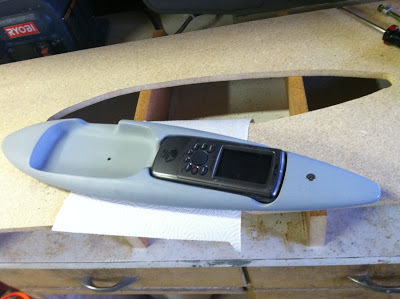 The mold for the new 6030/garmin 76 pod is cruising along. The new pod features a pressure fit for the 76 just like my Geko pod (except the 76 has a slot for securing a safety cord). The 6030 slot also has a cutout to allow downloading without removing the instrument. Mounts will be the same, but the rod will be grade 8 instead of stainless in order to support the greater mass of the new pod. 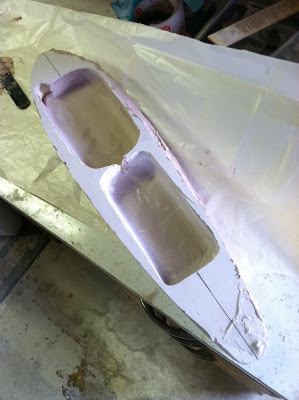 First step: rough cut and generous bondo use. This is what it looks like after hitting the belt sander and rounding the profile a bit. 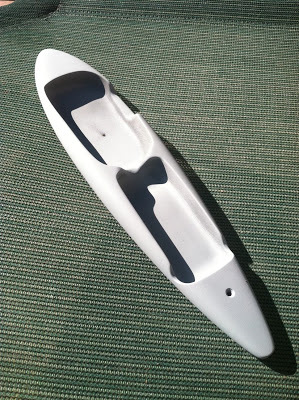 Gray primer helps show irregularities in the shaping process. 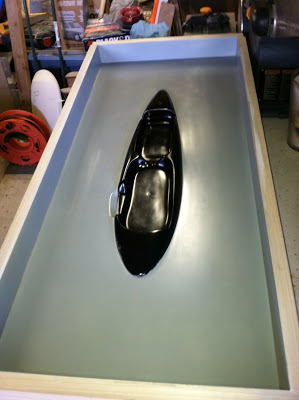 A parting tray is built to create a line for dividing the two mold halves. 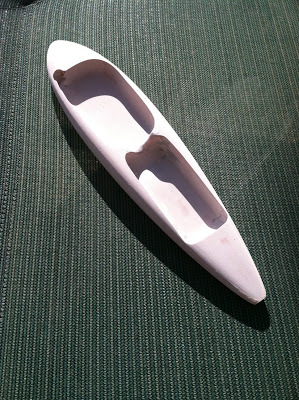 The plug is positioned and dammed up with bondo to create a perfect parting edge. Primer is sanded and polished to create a nice finish on the parting flange. 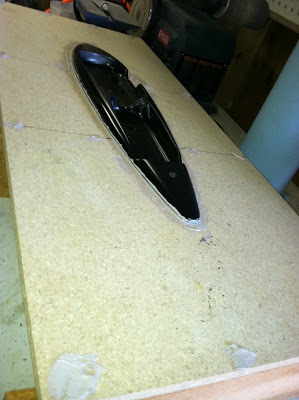 A huge flange was chosen to allow for resin infusion process if I decide to go that way. 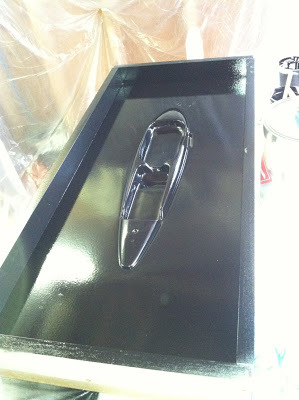 I walled up the parting tray to avoid the mess of spilled resin, overspray, and cutting the mold edge after layup. 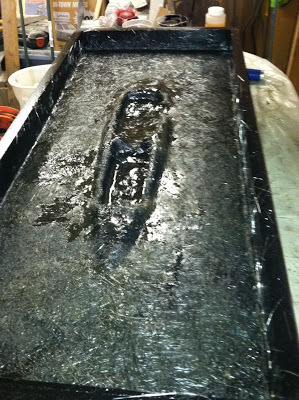 Black tooling gel was sprayed through a siphon gun until about 20 mils thick to create a hard, durable surface capable of producing many parts. 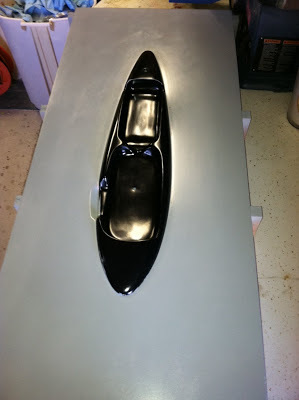 Two layers of resin and chop fiber were layed up on the tacky gelcoat to stabilize it and prevent shrinkage overnight. This is where it’s at now.. more later.